9" Long. 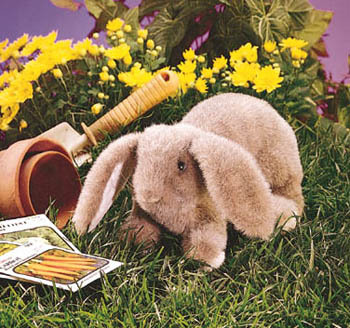 Few things are cuter than baby rabbits, as this Baby Lop-Eared Rabbit puppet will convince you. Animate his front paws, wiggle his bewhiskered nose, and prepare to see some twenty-four "carrot" smiles!